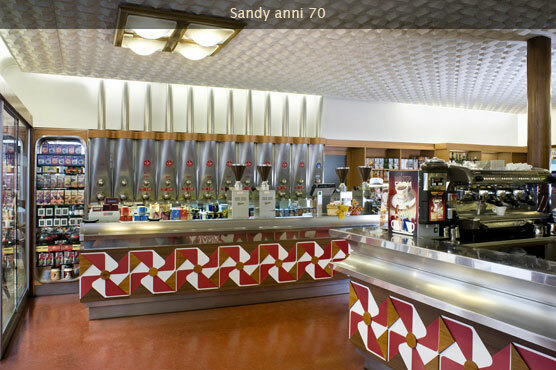 Pleasure of Espresso since 1957. We always support our territory! 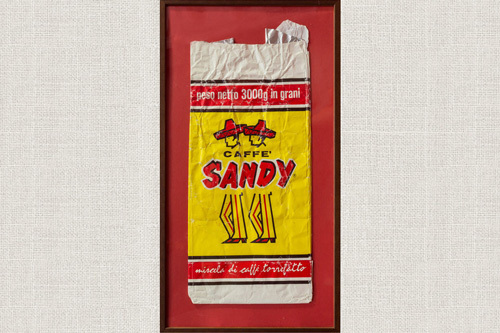 This is the story of Sandy coffee. 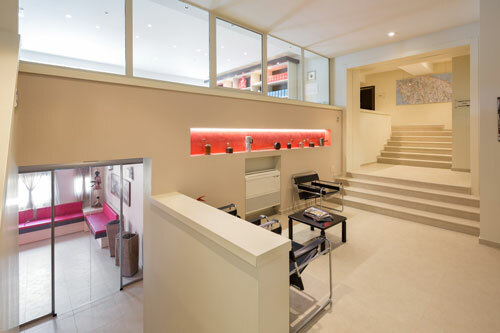 The secret lies in the vision of Bruno, in balance and in the authenticity of what was architect. 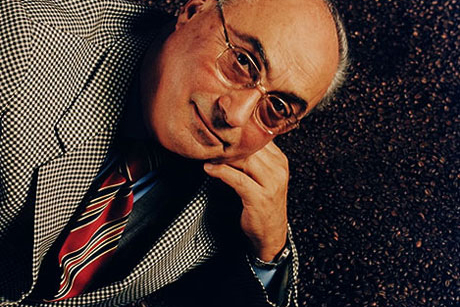 Its values underpinning the foundations of the choices made by his heirs: uncompromising quality and willingness to pass on the knowledge and respect of tradition. 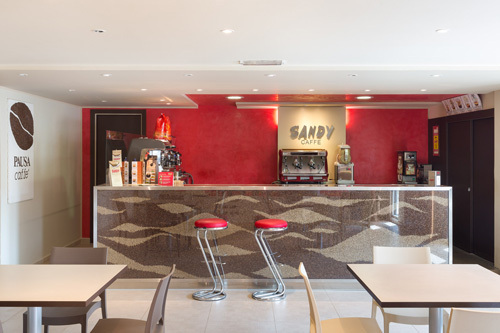 Sandy Café offers connoisseurs and enthusiasts from around the world the ideal coffee, the best that nature has to offer in the countries of origin, enhanced by impeccable manufacture that integrates the best technologies and experience of over 50 years of passion and family entrepreneurial. 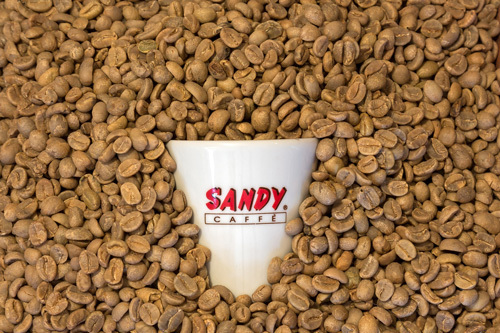 The historical coffee shop is the ideal place to enjoy the familiar aroma of Sandy coffee and purchase our bean or ground blends. 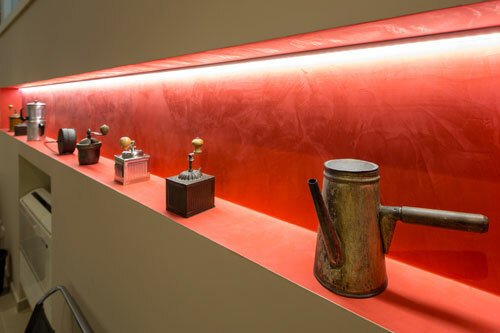 The superior quality of our coffee is the result of an attentive and extraordinary process which starts from the choice of the raw materials right through to production, a story of dreams and plans which is reflected in the perfect mix between tradition and innovation. 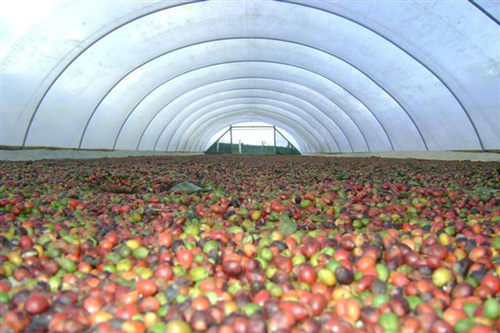 Exclusive selection of fine high quality coffees. 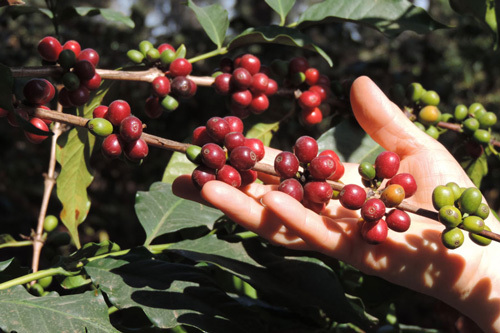 This prestigious blend features a sweet intense flavour and lingering aromas. 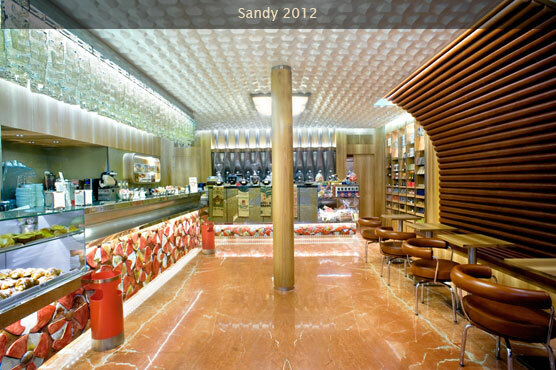 Ideal for tastings. 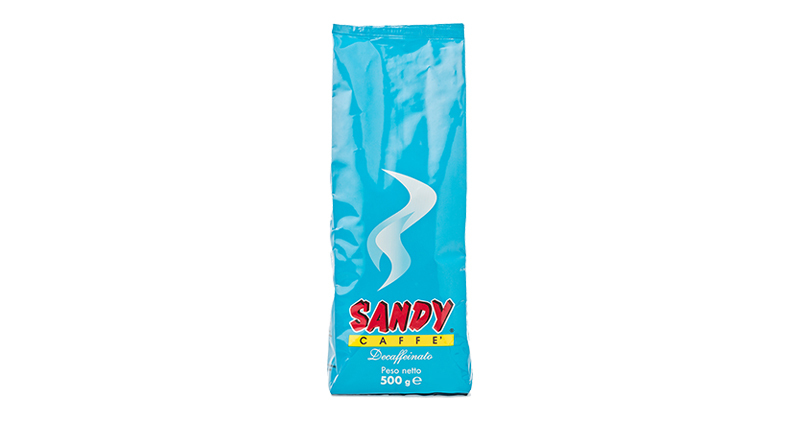 Available in beans, in 1kg and 3 kg packs. One 3 kg pack, containing the highest quality Arabica beans. 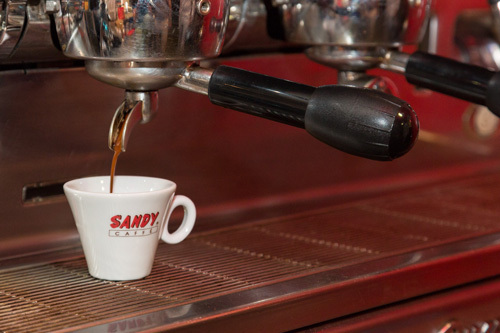 This blend combines Arabica characteristics, body and aroma with a delicate finesse that makes a genuine Italian espresso. 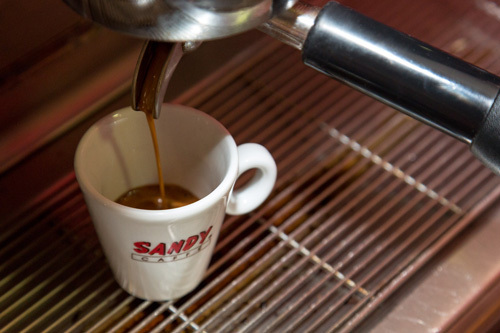 Flavour, body and aroma for the most classic Italian espresso. 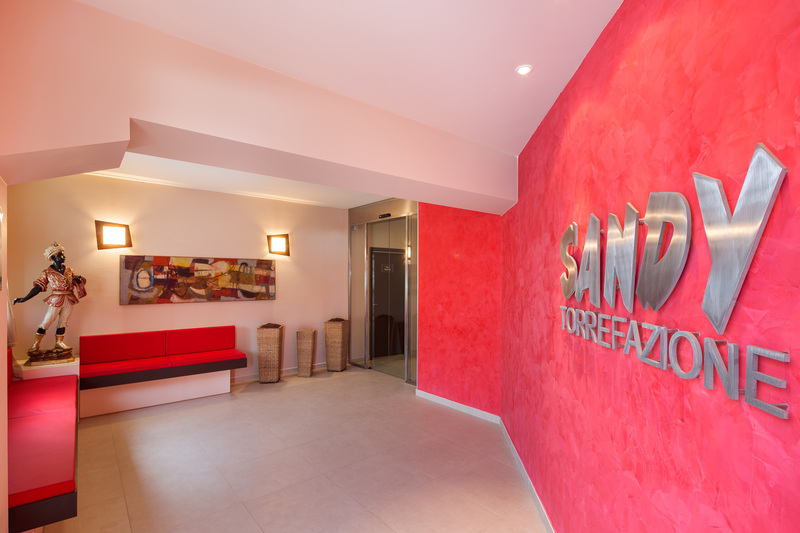 Consistent result and final yield are guaranteed. 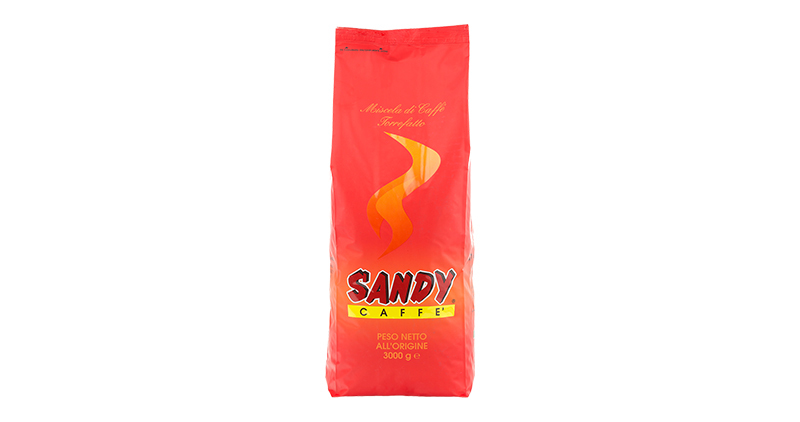 Available in beans, 1kg and 3kg packs. 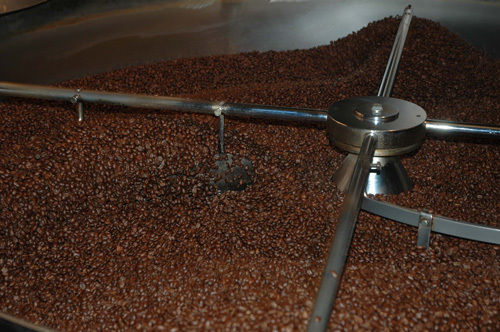 Special coffee blend featuring the taste, body and aroma which are most similar to a traditional espresso coffee. In packs of single dose pods of ground decaffeinated coffee packaged in a modified atmosphere. Also available in beans, in 500g packs. 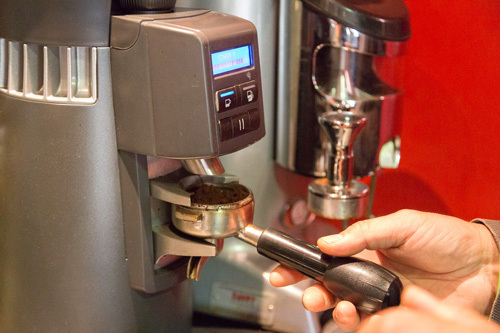 Grinder and automatic dispenser are available on lease without charge. 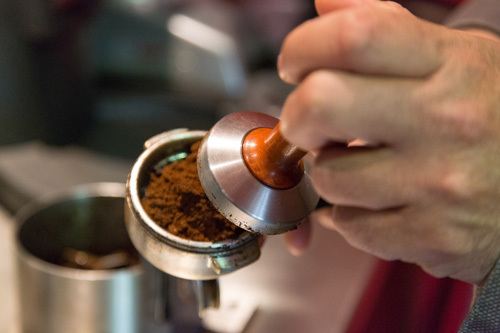 Traditional blend for moka, featuring a strong and decisive flavour. 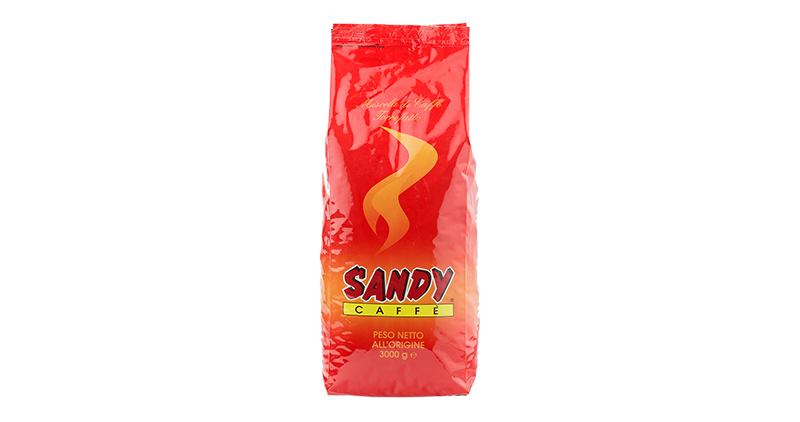 Available in beans and ground espresso, in 250g packs. 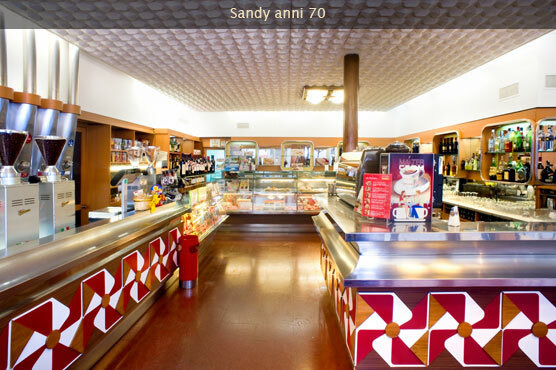 A pleasure to be savoured, half way between ice cream, sherbet and coffee granita. 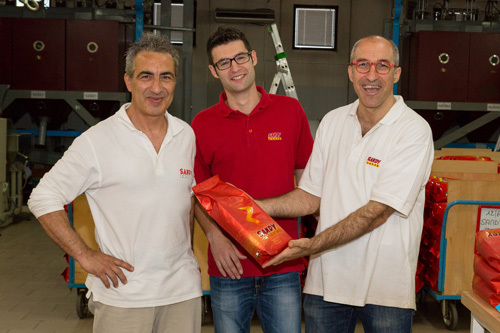 Special blend with the ideal qualities necessary to obtain a true Italian espresso coffee, even with a domestic espresso machine. 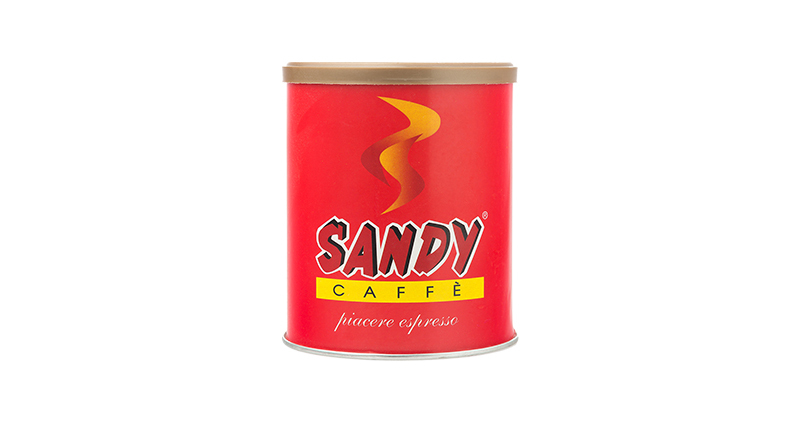 Available in 250g tins of ground coffee. 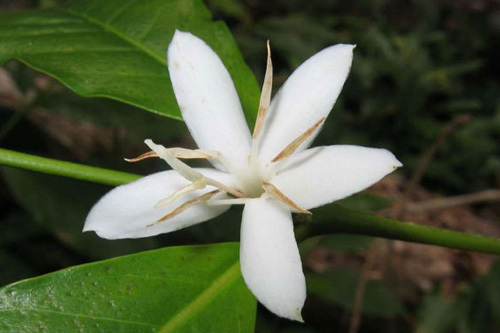 Sweet blend with a particularly delicate body and aroma.. 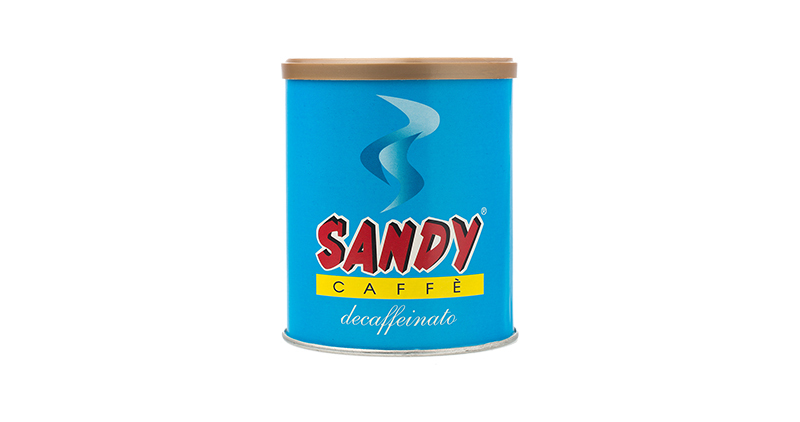 Available in beans and ground espresso, in 250g packs. 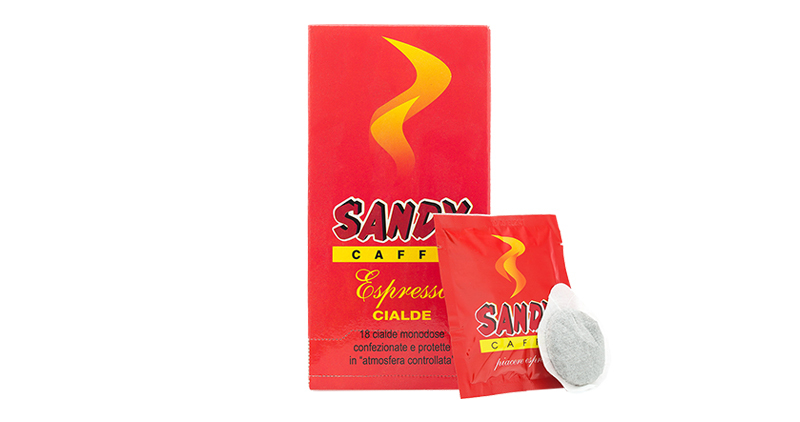 Practical 18 pod pack of classic blend coffee for bars, which gives an end product as close as possible to genuine espresso.Ideal for use at home, in the office and by small communities. 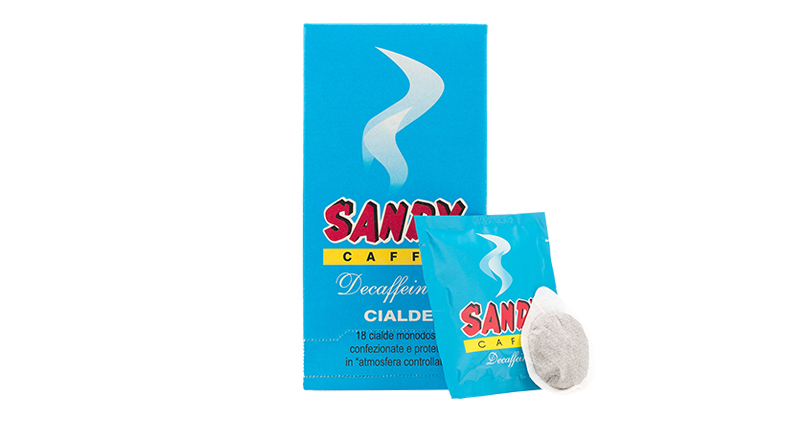 The same quality with the flavour of decaffeinated coffee. 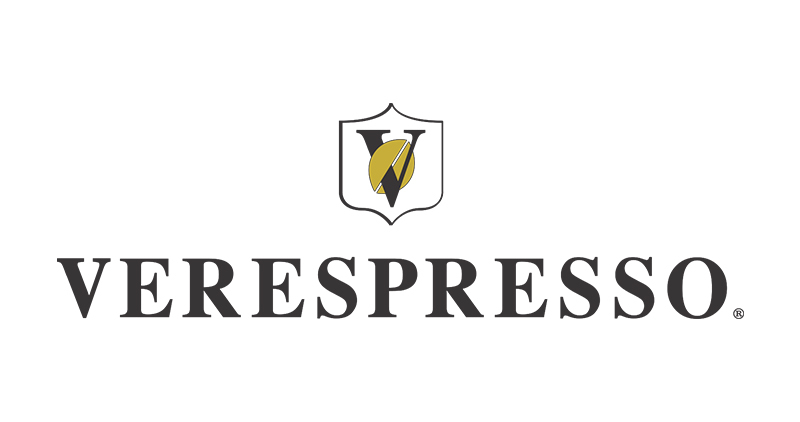 Verespresso produces and distributes the best quality coffee, decaffeinated, soluble, herbs capsules designed for the exclusive CLOSED CIRCUIT with dedicated coffee machines. 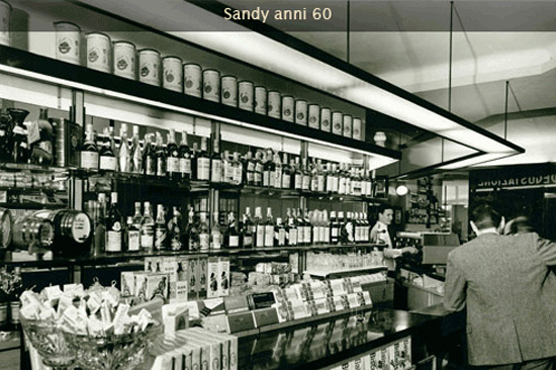 1957 marks the birth of Sandy coffee in the centre of Arezzo with the intention and conviction of creating a high quality product matched to a timely customer service. 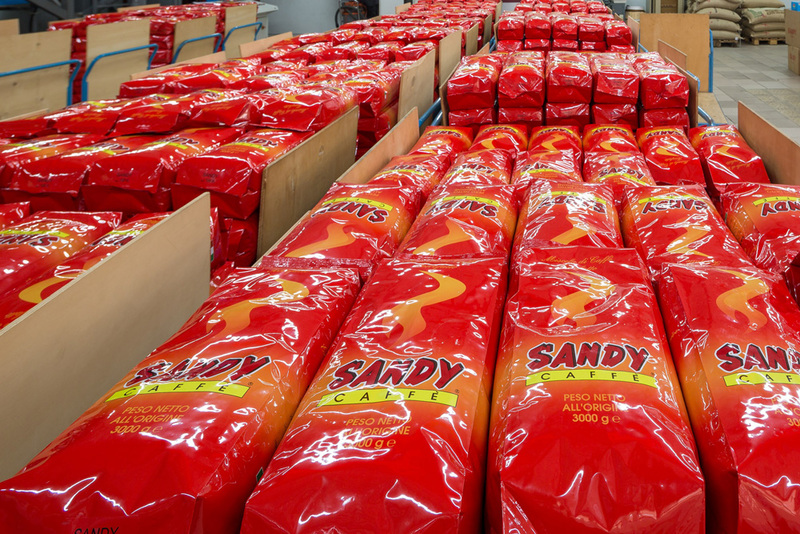 Sandy has always managed the fascinating process which turns coffee into the hot beverage we are all familiar with today fully aware that quality is an essential ingredient to achieve the best results. 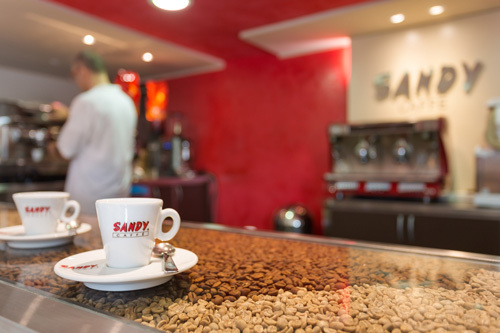 As an importing company Sandy selects the best types of coffee from the Arabica variety which arrive directly from the places of origin to the production facilities in Arezzo. 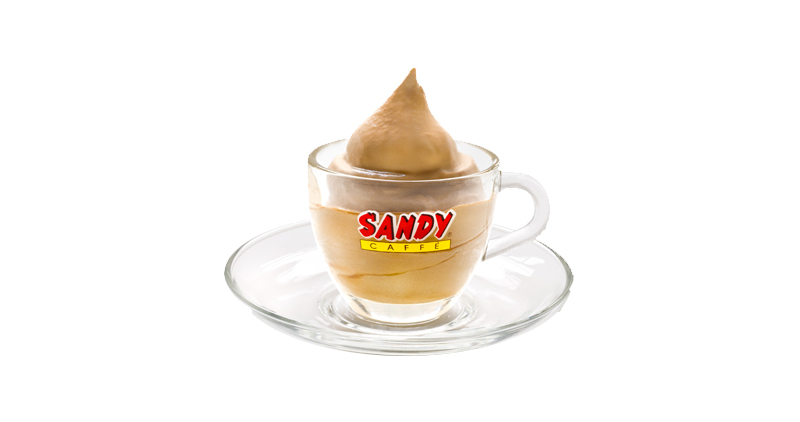 Long-standing experience and human skills, combined with technology in roasting and blending coffee, make Sandy coffee a superior product. 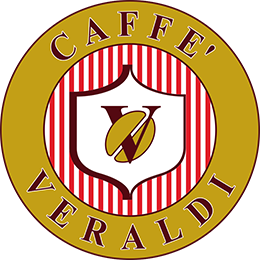 The purpose of the course is to transmit our knowledge to baristas and enhance their essential role in making the "perfect" espresso. 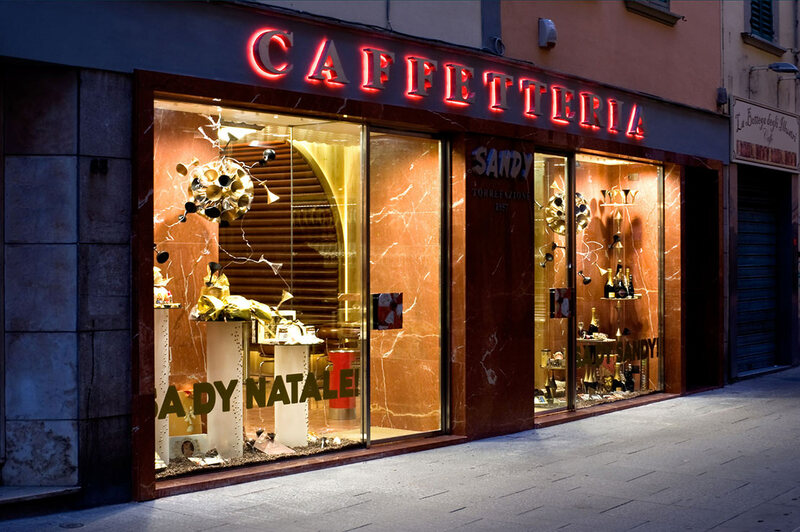 At the end of the course each participant will receive a certificate of attendance "Coffee and Cappuccino Sandy Coffee". 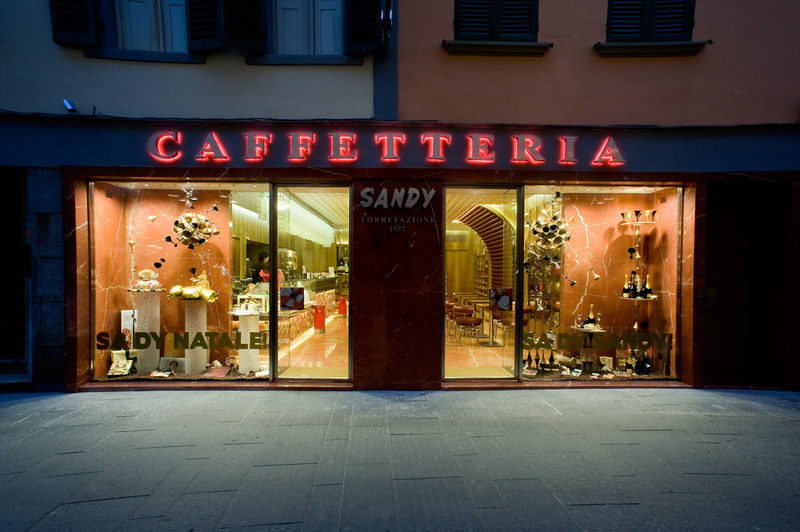 © Caffè Sandy 2017. All Rights Reserved.